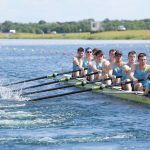 UCD Boat Club sent 27 athletes over to London last weekend to compete in the London Metropolitan Regatta at Dorney Lake. 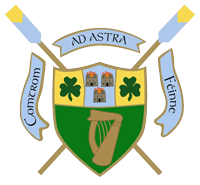 There was a strong presence from many Irish clubs and universities including NUIG, Trinity, UCC, Cork, Commercial and Shandon. Our Intermediate and Club Eights split into Fours for Academic Tier 2 4+ (A and B) and Academic Tier 3 4+ (C and D), while the Novice crew entered crews in Academic Tier 3 4+ and Academic Tier 3 8+. With strong finishes in the heats across all Intermediate and Club crews progressed in their respective final. 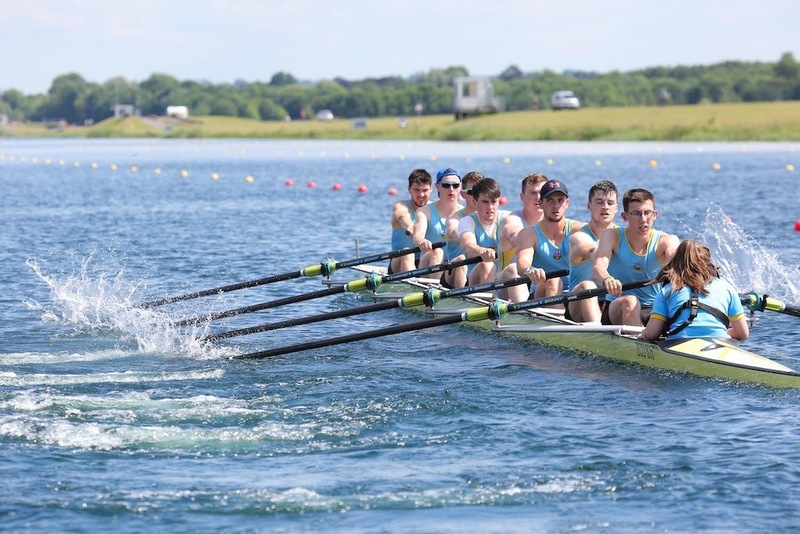 In Tier 3 4+ final the D crew lead by the experienced Coman O’Connell made a blistering start, taking over 2 lengths out of their competitors in the first 500m. Unfortunately the Lancaster crew made their bid for the line in the last 150m and took the win by 1/2 a length. This left UCD D and C in 2nd and 3rd respectively. In the Tier 2 4+ competition, the Durham 4+ which had earlier placed 2nd in the Championship tier took an early lead and despite multiple attacks from the UCD A crew, proved too strong and took home the win. 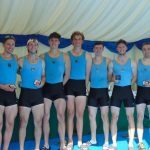 Durham B were 2nd, just 0.3 seconds ahead of UCD A with UCD B in 5th. The Novice entries were well tested, finishing 6th in the 4+ heat and 5th in the 8+ heat. 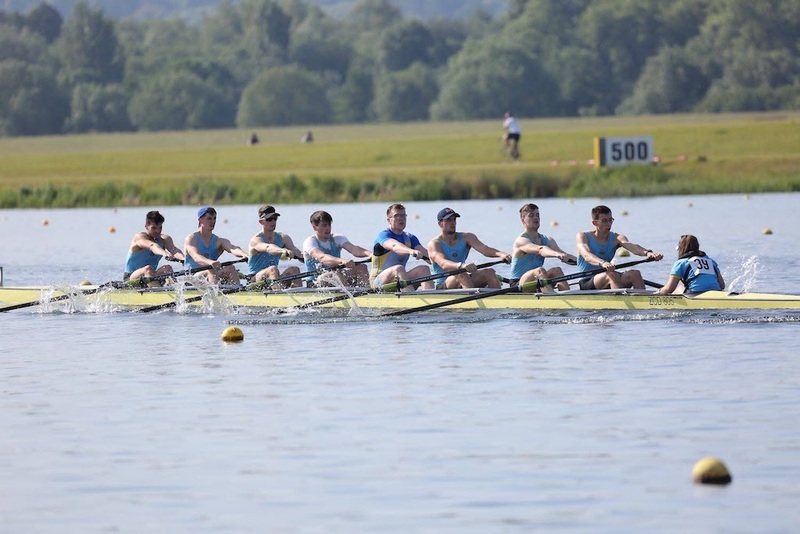 The next day saw the Intermediate, Club and Novice men take in the the Challenge 8+ with the Intermediates competing in Academic Tier 1 8+ and the Club and Novice crews in Academic Tier 2 8+. The morning timetrial saw the relatively newly formed Intermediate crew race for the first time together with the combination clicking enough to book their place in the A/B semi-final. The Club crew also put in a strong timetrial, landing themselves in the E/F final. 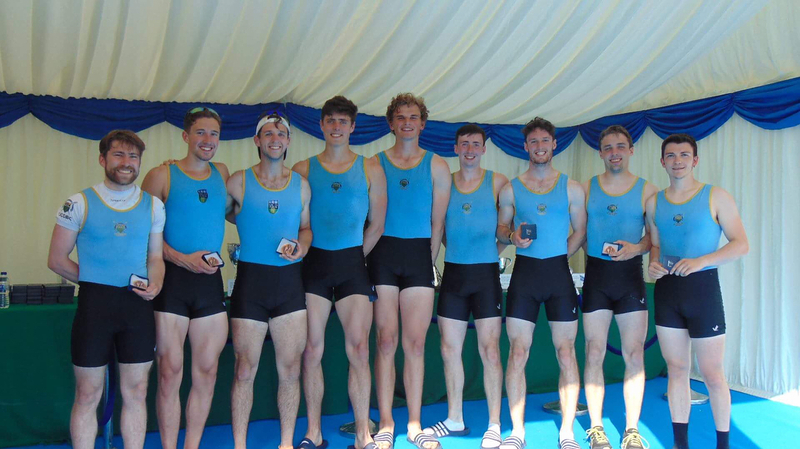 The Leander and Upper Thames crews proved too strong for UCD in the A/B semi-final, squeezing them out to a 5th place finish in the semi-final and eventually a 4th place finish in the B final, matching what was performed by the Senior crew the year previous. The success of the day came from the Club crew. A powerful display in winning a very tight semi-final, where all 7 crews were within a length of each other, saw them into the favourable final where they would meet the main competition for the win in their category. 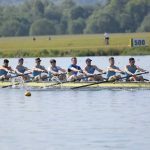 With a quick start and great middle thousand UCD were able to hold onto their lead as UCC charged at them towards the finish, taking home the win in the final and category. Unfortunately injury forced the Novices to withdraw after the timetrial, having qualified directly for the I final. Overall the regatta was a great success in terms of racing and experience for newly formed crews with Championships just around the corner.